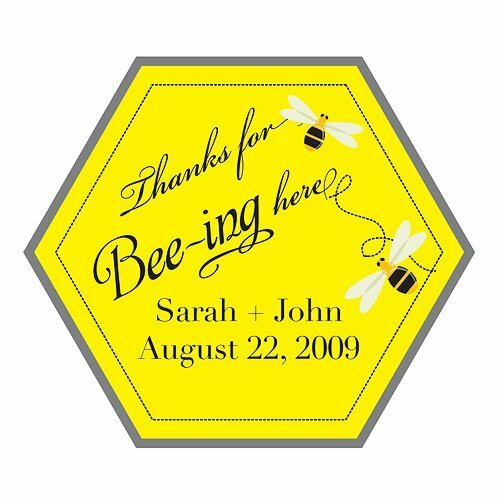 These clever yellow and black honeycomb shaped stickers read 'Thanks for Bee-ing here' and are customized with your names & wedding date. 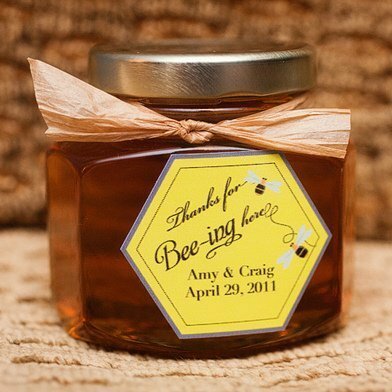 Add them to favor boxes or for an oh so clever idea, buy some honey and place these stickers right over the labels. 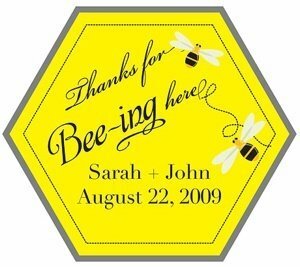 Super cute and great for garden themed weddings! Min order is 36 stickers. Product dimensions - 1 3/4 x 1 1/2" H.